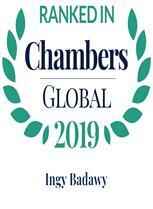 Dr. Badawy is a Founding Partner and Head of the Firm’s Mergers and Acquisitions Department and a member of the Firm’s Arbitration Department. Dr. Badawy is consistently recognized by clients and legal directories as a leading lawyer, problem solver and a deal maker. Dr. Badawy has been a practicing lawyer since 1994. 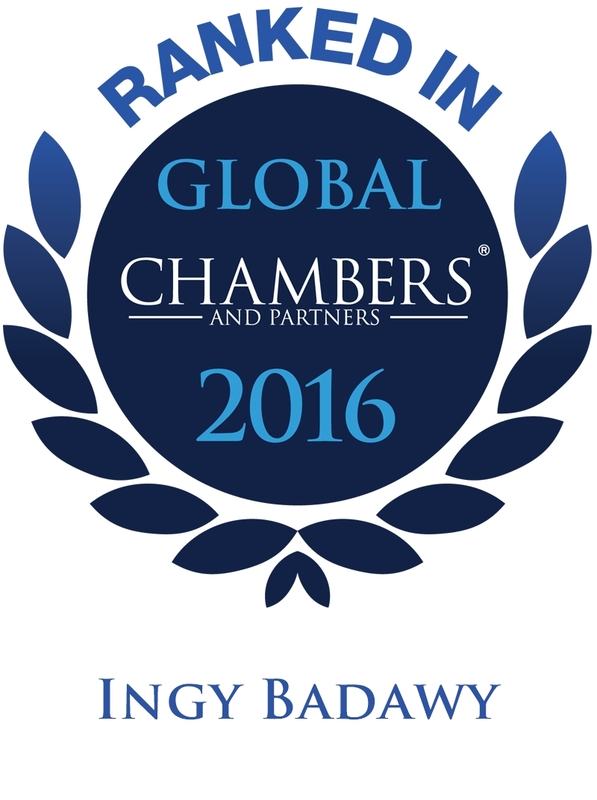 Before cofounding Zulficar and Partners, Dr. Badawy was a partner at Shalakany Law Office. 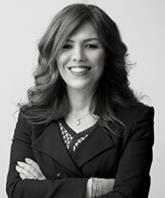 Dr. Badawy specializes in Mergers and Acquisitions, and is recognized for her exceptional skills in drafting and negotiations of all contracts necessary in any M & A transaction, particularly SPA’s, shareholders agreements, management agreements, escrow agreements, as well as merger and restructuring agreements. Dr. Badawy has also played a key role in major IPO’s and private equity funding transactions. Dr. Badawy also provides corporate Egyptian and multinational clients with valuable advice and assistance in relation to Company and Environmental Laws. Dr. Badawy has been consistently providing advice to some of the Firm’s major clients including including Abraaj Group, Sixth of October Development and Investment Company S.A.E (SODIC), Philip Morris International and Philip Morris Egypt, Taqa Arabia S.A.E. and its subsidiaries, Guardian Industries Corporation, Amoun Holding S.A.E, and Tanjong Energy. In 2015/2016 advised and played a key role in several IPO’s whether on behalf of the Issuer or the Underwriters including the listing and IPO of Cleopatra Hospital Company’s shares on the EGX, the listing and IPO of Emaar Egypt shares on the EGX, the listing and IPO of IDH on the London Stock Exchange and the first dual listing on EGX and NASDAQ Dubai of Orascom Construction. In 2015/2016 advised on the restructuring of B.Tech for Trade and Distribution Company, SAE, and drafted and negotiated all contracts required for the private placement of 33% stake to a strategic Investor. In 2014/ 2015 advised Abraaj Group and drafted and negotiated all relevant agreements relation to the majority of their hospital acquisitions in Egypt, including Cairo Medical Center through launching a mandatory tender offer to acquire up to 100% of the company’s shares. In 2013/2014, advised Philip Morris International (PMI) in relation to the restructuring of its business in Egypt and led critical negotiations with its strategic partner Eastern Company S.A.E of the new manufacturing agreement to be concluded with PMI’s Egyptian Affiliate which replaced Mansour as the Licensee for the manufacturing of PMI products in Egypt by Eastern. In 2011, acted on behalf of Paradise Capital S.A.E in the sale of 52% of Olympic Group (OG), the largest white goods manufacturer in Egypt, to Electrolux, the World’s second largest global leader of this industry through a Mandatory Tender Offer for 100% of the shares and led critical negotiations of the SPA, Management Agreement and Escrow Agreement for the complex transaction involving a carve out of two listed subsidiaries and other assets. Total value of the transaction exceeded USD 450 million. In 2011/2012 participated in advising Vimpelcom on its landmark acquisition of Orascom Telecom for approximately USD 6.6 billion and the execution of the carve out of MobiNil, ECMS and other assets through a demerger. In 2007, participated in advising Orascom Construction Industries, SAE (OCI) on the Sale of Orascom Building Materials Holding, SAE (OBMH) (a wholly owned subsidiary of OCI) for approximately USD12.9 billion and assumption of USD 2 billion of debt in conjunction with a capital increase by Lafarge to be subscribed to by NNS Holding, a family company controlled by Nassef Sawiris for approximately Euro 2.8 billion. In 2005 participated in advising the majority selling shareholders on the sale of their shares in Amoun Pharmaceuticals Industries Company for approximately USD 459 million through a mandatory tender offer for 100 % of the shares.